LandMark Spatial Solutions offers training in two locations to meet the needs of our customers: Warner Robins, GA and Starkville, MS. We also offer Forest Technology Seminars throughout the year to introduce new tools and software. Please see the list below to find a course or seminar near you and follow the registration links to sign up. Come learn how to use the Solo Forest GPS program to collect points, lines, and areas; use photos and topos in the field; create cruise grids; navigate to cruise plots; input survey data and navigate to corners; heads-up digitize in the field; export shapefiles; and make simple GIS maps. Come learn how to set up and use the industry-leading TCruise program to collect and process your forest inventory data. We will also cover how to use the LandMark Reporting module and the patented Real-time Inventory GPS-based cruise system. The goal of this class is to simplify ArcGIS and make it a practical tool for the field forester. 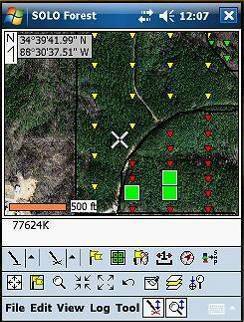 It is just the right blend of GIS terms, procedures, and forestry applications. 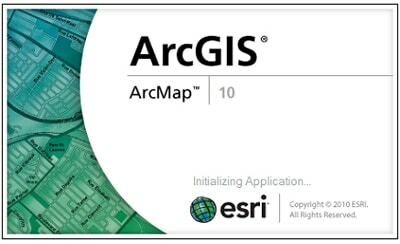 We will cover the basics of ArcGIS, go into how to edit GPS data and then integrate it with basemaps to create terrific maps, learn how to digitize on top of aerial photos, create ArcGIS templates, and even go into georeferencing basemap layers. 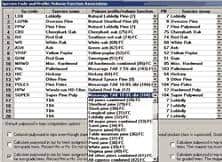 If you need to learn how to use this program for forestry applications, this is the class for you.